Romania's Bran (Dracula's) Castle at night. View of Lisbon, Portugal from city gardens. Kicking off the fourth year of a partnership, National Geographic Expeditions and G Adventures have announced new destinations and tours for 2019. With the additions, the National Geographic Journeys’ line of small-group tours further expands into South America and Europe and introduces a mix of hot spots and off-the-beaten-path adventures designed to challenge and enrich curious explorers. Peru, South Africa, Costa Rica, Morocco and Thailand were the top five most popular destinations booked by Journeys travellers from Canada. “The Journeys story is all about growth. Compared to even two years ago, bookings of these trips have soared more than 100% and we’re adding more product to keep up with demand,” says Aizaz Sheikh, Canadian Marketing Director for G Adventures. Sheikh says the majority of Journeys clients use travel agents, and it can be a lucrative product. Beginning in January, travellers will have the chance to take advantage of Bolivia’s recently-improved tourism infrastructure and experience its stunning landscapes, including the famous Uyuni Salt Flats, while learning about its rich cultural heritage and visiting one of the highest cities on Earth. Also new in South America for 2019, a tour of Peru’s north will have travellers exploring cloud forests, hiking a huge waterfall and peering back into pre-Incan times. An additional combination tour of the northern Chachapoyas region, coupled with a visit to iconic Machu Picchu by train, offers a 16-day deep-dive into life in Peru. In Europe, National Geographic Journeys builds on growing international interest in Portugal as a vacation destination with two new tours. 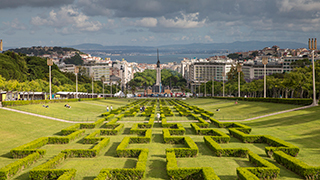 The first, focusing on Lisbon, Coimbra and Porto, celebrates the country’s rich food, wine and architectural marvels. The second combines one week in Portugal with another in Spain, adding the Moorish masterpiece of Alhambra with time for wandering through charming Seville. 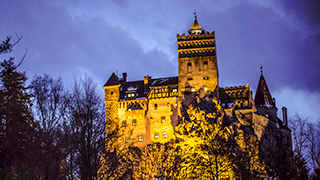 In Europe’s Eastern region, a new tour in Hungary and Romania has its launch point in Budapest before moving on to Transylvania, for a fascinating and slightly haunting dose of history, culture, myths and legends at Bran Castle. Launched in late 2015, National Geographic Journeys has grown from 70 tours in its initial year to 89 tours in 55 countries today. The line of trips offers hands-on exploration, with an emphasis on storytelling, local immersion and social good. From six to 30 days in length, the itineraries are designed for travellers who appreciate having free time and flexibility, but value the structure and security of group travel. In terms of the typical Journeys traveller from Canada, the average person is 55 years old and has booked a trip of 12 days long with five months lead time. A strong majority of those Canadians are women -- who make up 64% of Journeys buyers.